International Dentistry Association is an association of young dentists and students is now in its sixth year. Today IDA is represented in 16 Russian cities and 3 countries (Armenia and Jordan apart from Russia). There are over 5,500 people in the association including its members, volunteers, and activists who implement various projects of the youth organization countrywide. “I believe that the cooperation with UNIDENT is one of the most productive. The company gives newcomers a wealth of opportunities for further development. For example, on 22 April, we will hold our regular congress titled Fairy DentParty — 2018, and this time it will be devoted to the pediatric dentistry. Not for the first time, UNIDENT will be a general partner of the event”. To upgrade skills of young dentists IDA organizes regular training events with the involvement of own and external lecturers. IDA cooperates with leading training centres of the country and gives its members the opportunity to attend seminars, courses, and workshops at a special low price. The membership in the association is fee-based, however there is no need to join the organization to take part in preventive care and volunteer projects of IDA. — To date, we have over thousands of volunteer and preventive care projects, hundreds of seminars and Olympiads organized by the association and dentistry universities of the country. We have implemented our own projects and campaigns, such as Landysh donor project, under which hundreds of dentists and students donate blood for patients with maxillofacial pathology. We cooperate not only with dentists but also with other healthcare professionals. Thus, our volunteers conduct examinations at hematological centres and blood transfusion centres. Moreover, among our partners are tens of orphan homes and cadet corps where IDA educates children in oral health. IDA is a regular active participant of exhibitions, congresses, and forums, partner of well-known companies — manufacturers and suppliers of dental products. I believe that the cooperation with UNIDENT is one of the most productive. The company gives newcomers a wealth of opportunities for further development. For example, on 22 April, we will hold our regular congress titled Fairy DentParty — 2018, and this time it will be devoted to the pediatric dentistry. Not for the first time, UNIDENT will be a general partner of the event. Just recently we have opened a window of opportunity: IDA members now may publish their clinical cases in UNIDENT Innovations and Practices! journal. Such cooperation will help some dentists to gain theoretical knowledge from articles of their associates and others to improve presentation and text writing skills, share experience with associates and further proceed with lecturing. As a head of IDA, Inna believes that the association has achieved its key goals for six years. This professional association united young dentists and future specialists, organised international practical trainings at world universities and medical institutions without agents, arranged a huge number of events in different Russian countries including unpaid ones. The association members have access to the best events in dentistry, courses and seminars of Russian and world leading specialists and are afforded ample opportunities to accomplish their own objectives. However, IDA has many plans which will certainly be much appreciated by the association members, as new projects arise out of issues, problems, and ideas which concern all young doctors. The mysterious word ‘Jamaica’ conjures up visions of a distant tropical island of paradise with snowy beaches and impenetrable jungle. Although there are beaches and jungle the real life is far from paradise. Jamaica is a relatively poor country with less developed healthcare industry and large percentage of very poor people. There is a fairly acute problem with dentistry: just 70 dentists per 2.8 million inhabitants. Most of dentists provide paid services only, and 80% of people can hardly afford to make use of such services. Admittedly, there are state hospitals but appointments are booked for the next few years. “Do you want to have your teeth attended? We may set up your appointment for 2020”. That is why many people are deprived of timely assistance, and volunteer missions appear to be the only solution. About the 3rd International Chamber Music Festival VIVARTE organised by the U-Art: You and Art Foundation jointly with the State Tretyakov Gallery. Six chamber music concerts were held in the Vrubel Hall. Each concert programme was associated with an exhibition of one masterpiece from the vaults of Tretyakov Gallery with descriptions from the leading gallery custodians. VIVARTE festival ended with a “musical promenade”. This story began in Bologna, where everything breathes with science and art and where famous University of Bologna that saw Kopernik, Petrarca and Michelangelo is situated. Almost a century ago, in 1935, Italian engineer Aldo Castellini founded a small company for dental equipment production under his own name here. A multi-specialty clinic at the Military Medical Academy has opened in Saint Petersburg. The equipment for the modern medical facility has been provided and installed by MedImport; the company took care of the project design, integration, supplies, installation, and startup. The regular open “UNIDENT open” competition for the best doctor among orthodontists and non-orthodontist doctors undergoing residency training in ORTHODONTICS is held by UNIDENT STOMATOLOGY. 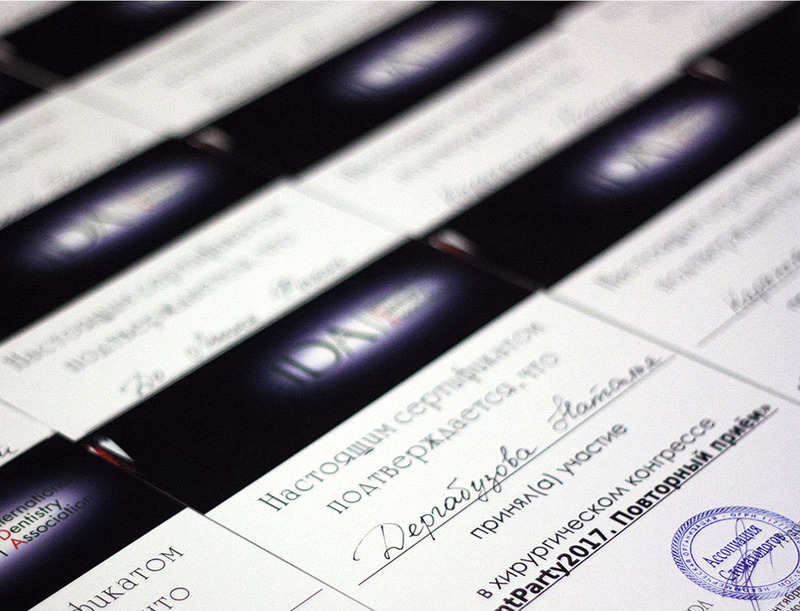 Winners of the competition will be awarded with diplomas and valuable gifts. On 18 December, the Moscow Leningrad Club hosted the ceremony of awarding the winners of the annual National Pharmaceutical Rating in 12 nominations, which included more than 1,300 manufacturers and more than 5,800 brands. The large-scale NPR award is based on the sales figures of the entire Russian pharmaceutical market. The dental clinic of the Ministry of Defense has reopened after the reconstruction. The renovated medical complex is now a fully equipped multifunctional medical center, capable of handling on its own all tasks related to diagnostics, treatment, prosthetics and rehabilitation of patients. 1994−2018 © Unident. All rights reserved.